a charitable institution or trust of a public character, which is tax-exempt under section 88 of the Inland Revenue Ordinance (Cap. 112). 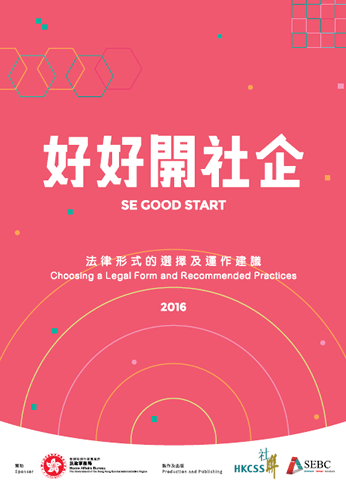 have non-profit-making undertakings for at least one year; OR have experience in running SEs (can be in the form of prototype) for at least one year. In submitting the completed ESR Application Form, these applicants are also required to provide a duly completed prescribed supplementary proforma (i.e. “Proforma for the Pilot Scheme for Non-section 88 Organisations” ) and submit supplementary information / documents. Please refer to Appendix A of the “Guide to ESR Programme” for more details. The ESR Programme is open to application all year round, but deadlines are set on a half-yearly basis to enable the corresponding processing of applications in batches. Please refer to the Guide to ESR Programme to find out more about the ESR Programme, including the objectives, the assessment criteria, the financial arrangement and monitoring mechanism for approved projects. Applications must be submitted in the specified Application Form. Please check the completeness of application based on the “Checklist of Documents Required for Submitting Applications” of the Application Form. Application which has failed to provide all the required information will be considered as an invalid application and may not be further processed. Completed forms should be sent to the ESR Programme’s Secretariat by post / by hand or email at the following address / email. Strengths of socially disadvantaged : the projects can identify and capitalize on the strengths of the target socially disadvantaged groups in the course of carrying out the SE business. Significant social impacts : the projects will benefit the socially disadvantaged to a great extent, such as provision of a mechanism to assist the employed socially disadvantaged to move into the open market to benefit as many people as possible, or provision of advancement ladder for the socially disadvantaged employees. Cross-sector partnership : the projects will involve collaboration among different sectors such as private sector, organisations at district levels, professional bodies. District-based approach : the projects will adopt district-based approach such as involving collaboration of local organisations, deployment of social capitals (e.g. local resources, network). Synergy among social enterprises : the projects will involve collaboration and cross-overs among SEs, such as procurement of products / services provided by SEs in the course of carrying out the business of the proposed projects; hence causing synergy and helping development of SE as a whole. Added values : the projects will create social values and generate positive social impacts in addition to provision of job opportunities and products/services to the socially disadvantaged. For example, enhancing the well-being of the socially disadvantaged, or encouraging social inclusion. Applications, whether or not with the above characteristics, would continue to be vetted on the basis of individual merits, and on whether they can meet the ESR Programme’s objectives and requirements. 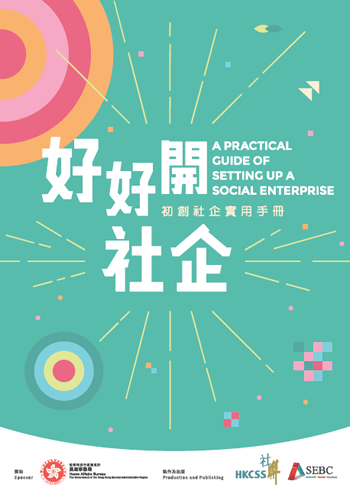 To strengthen support network for social enterprises (SEs), the Home Affairs Bureau supports the Hong Kong Council of Social Service – HSBC Social Enterprise Business Centre (SEBC) to produce and publish the “SE Good Start” series, which contains two publications – namely, “A Practical Guide of Setting up a Social Enterprise” and “Choosing a Legal Form and Recommended Practices” and aims to provide a practical guide for people who are interested in setting up an SE. 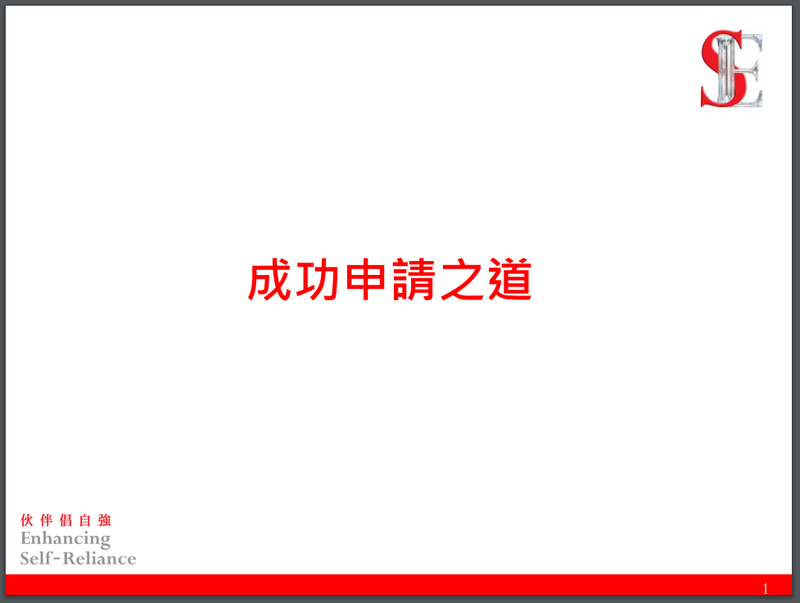 The Guide also sets out the various organisational models and mode of operations of SEs available in Hong Kong with examples and suggestions.